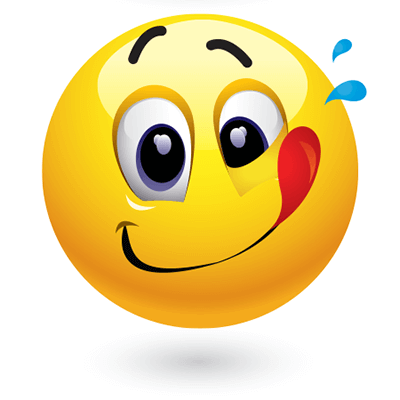 This emoticon just enjoyed something tasty. If you're having a slice of pizza while checking into your friends' FB posts, you can share this smiley on your own timeline. Our emoticons can brighten up messages too. Share them with your family and friends to put smiles on their faces.